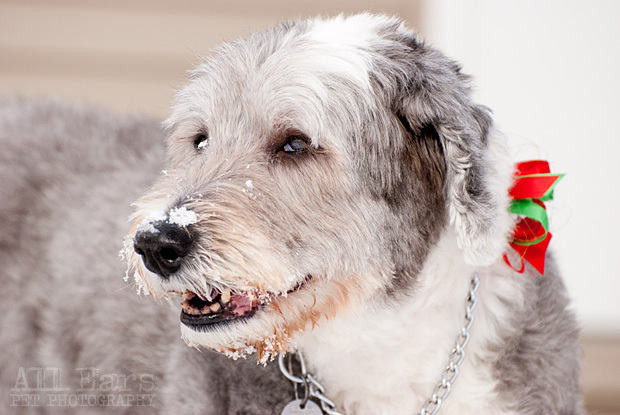 Saydee is a 12 year old English Sheepdog I had the pleasure of photographing prior to the holidays. The photo shoot was a gift to Saydee's mom so I held off until now to post any pictures (which was difficult because of how much I liked the photos). For the shoot we managed to get some excellent weather after a week of 0 degree days. Saydee was a great model as you can see from the photos below. Thanks Leslie for introducing me to Saydee. I'm looking forward to hearing how the gift went over. Besides my dog Chloe, Sara and Sydney (belonging to my parents) are the most photographed dogs on my computer. 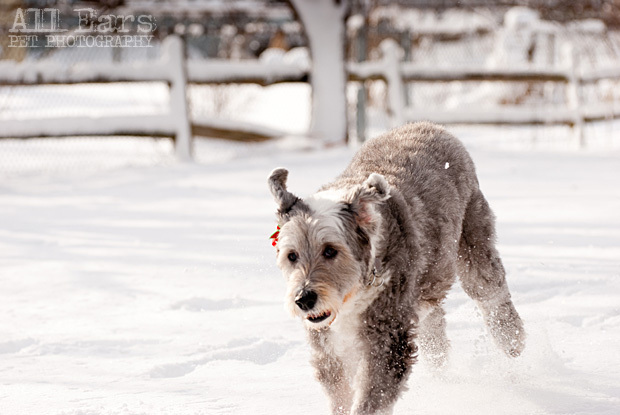 You may recognize them from my "Dogs" gallery or prior blog posts. We wanted to get some new pictures of the girls for the holidays... so I thought I'd share. Sara (brown/black) is incredibly photogenic. Sydney (black) takes a little more work. However it doesn't take much to get a good head tilt out of either of them. I hope the holiday season has been good to everyone so far. Enjoy it, it will be over before you know. RW Wrinkles is a 3.5 year old black lab. We started with some studio shots. Wrinkles is a lab; he likes balls. So getting him to look at anything but the ball (ya, I just said "the word") was nearly impossible. So I miiiiiiiiiight have digitally added the tennis ball into some of the pictures. You do what you gotta do. We managed to get some good studio shots and then headed outdoors to wear off some energy. Thanks Roxane for letting me shoot Wrinkles and, for the record, I think this will be the best Christmas present ever (but I'm biased)! I hope you enjoy the pictures. 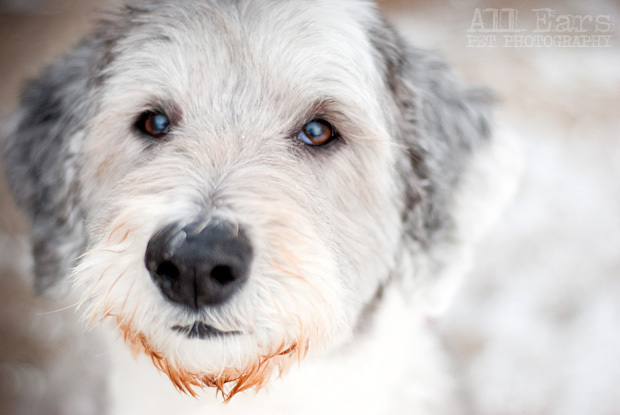 Here are some pictures from my last shoot with a lab-mix named Sonny. 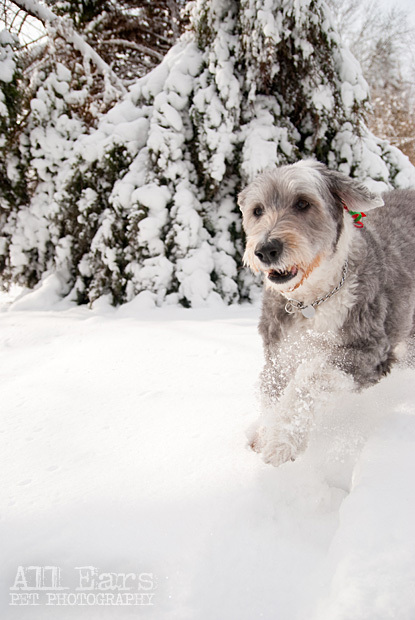 This shoot didn't require a single treat. Sonny works for balls! It's been a long winter so the outdoor shots were a lot of fun. The slightly green grass signals to me that spring is here (even if the next day brought snow). I imagine that in the shot below (right) Sonny is day dreaming of tennis balls. 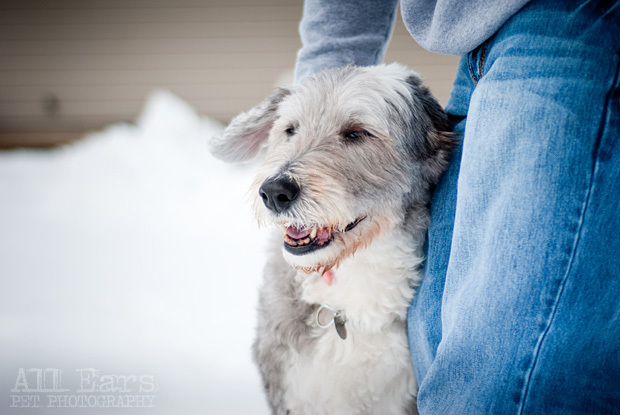 Here are some shots from a recent shot with Chewy (the collie mix) and Nike (the "something" mix). They weren't too into my all natural dog treats at first but once the Beggin' Strips were brought out... then we were able to get some nice shots. Nike quickly learned that she didn't even have to wait for a treat since she could help herself to my treat pouch. 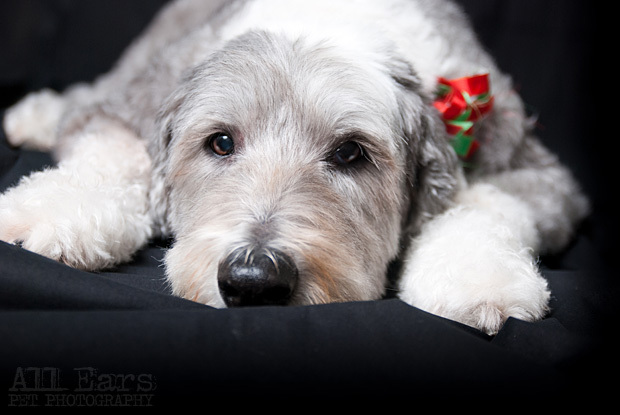 Here are some pictures from a recent studio shoot I had with an Aussiedoodle named Sydney and a Sheltie-mix named Sara. Sara was a natural in front of the camera; Sydney took a little "coxing". Here are some recent studio shots I made of Diego. I think they turned out pretty nice, however, in all honesty it is actually pretty difficult to take a bad picture of this guy! Here are a couple pictures I made recently messing around with some studio lighting setups with Chloe. I get the lighting practice and she gets the treats. WIN/WIN!